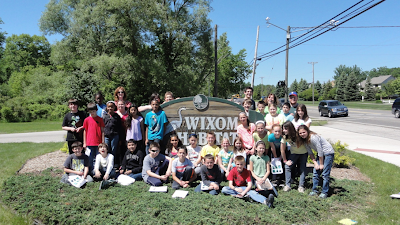 MichiganView recently collaborated with 5th grade teachers from Wixom Elementary School in Wixom, MI to implement a program designed to teach young students about remote sensing and wetland science. The program, which is a part of the MichiganView project, was headed by Dr. Nancy French and Laura Bourgeau-Chavez. Keeping in line with project goals, the study focused on wetland mapping and highlighted the importance of detecting invasive species such as Phragmites Australis. 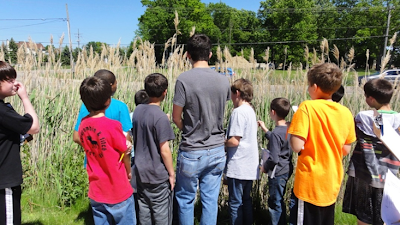 Students learned about various remotely sensed data in the classroom before participating in hands on data collection in the nearby Wixom Habitat Park. 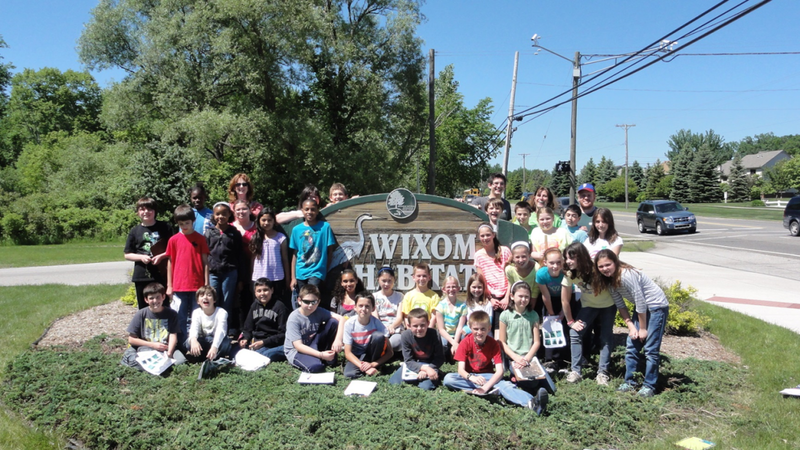 The field trip was led by three Wixom Elementary teachers (Cathy Russel, David Blatt, and David Walczyk) and two MTRI employees (Anthony Russel and Michael Battaglia). An additional team of classroom aides and parent volunteers also accompanied to provide assistance. The students were able to compare what they saw from the air (remote sensing imagery) to what they saw on the ground, or as their teachers called it frog’s-eye and birds-eye’s view, to better understand what they were observing in the field. The students were instructed on how to take GPS points, find the average height of the vegetation, determine the vegetation density, and take photos of the area. 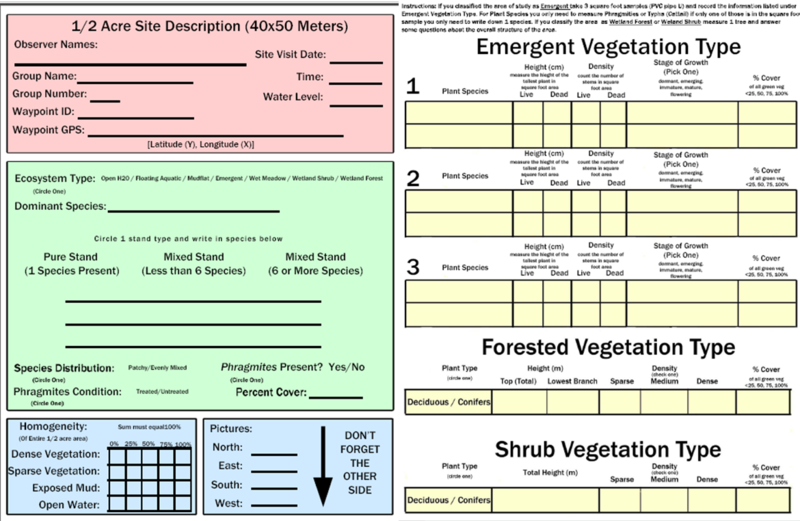 The kids then learned how to properly record data on specially designed field sheets which included numerous multiple choice questions to help them make decisions. 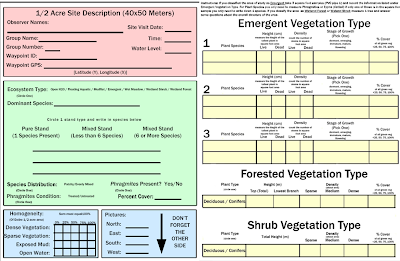 Overall the project was a success with the students being able to take six total points of various coverage types ranging from emergent wetland to forest. This was an important first step into our end goal of creating “citizen scientists” to enhance the Great Lakes wetland mapping project. This study was completed on June 3rd, 2013 at the Wixom Habitat Park in Wixom, MI. The teachers at Wixom Elementary would like to thank the Walled Lake Schools Foundation for Excellence for providing a grant that allowed the Wixom teachers to purchase GPS’s, cameras, rubber boots, and tape measures for the students to use in their data collection. 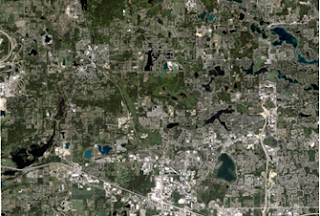 Read more about MTRI’s involvement in the MichiganView project here.